Serendipity City invites you to discover unexpected encounters, the invisible and unknown. 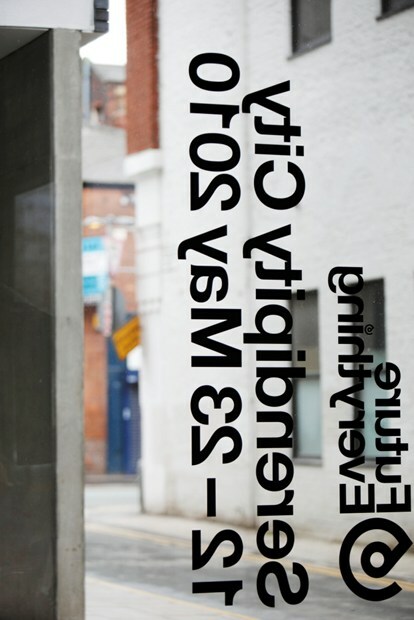 FutureEverything has long been interested in place-making and reimagining the city, and the art programme explores our evolving urban condition, through a series of urban interventions and artworks visualising the city in imaginative ways. Artists include: Agents of Change, AES+F, Rana Begum, Jon Rafman, Aaron Koblin, Martin John Callanan, SoSoLimited, Marina Zurkow, Anders Weberg and Robert Willim and Adam Greenfield.